A Family Heritage Health Insurance Company of America review determined this to be an Ohio company that was started over twenty years ago by Howard Lewis, the company’s current President, and CEO. Although the company is called Family Heritage Life Insurance Company of America, this supplemental insurer actually specializes in health insurance policies. To get health insurance quotes today, enter your zip code here and it will only take minutes. It just happens that A.M. Best focuses on the insurance industry and therefore has performed thousands of ratings on insurance companies alone. 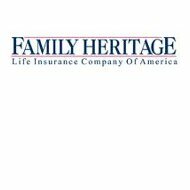 Since 1989, Family Heritage has built a financial strength that places them in a good ranking among similar types of insurers. This supplement company is different from your major carriers in that the Family Heritage niche is made up of insurance products that may be more incident specific. This type of policy also pays to you instead of doctors, hospitals, or lawyers. It is good to have when you end up paying expenses that you did not anticipate in the event of an accident or hospitalization. Whenever there is a serious accident or emergency such as a heart attack or stroke, a stay in the ICU or Intensive Care Unit may be inevitable. These expenses can become overwhelming. Cancer patients are covered for the added expenses of chemotherapy, radiation, surgeries, second opinions, and similar concerns. From the point of what is called the “First Occurrence” or the point of diagnosis, a specific claim form is used. This establishes a claims file for cancer patients. No claim form is necessary for cancer screenings. In this case, the check is also sent directly to you, the policyholder. This way of doing business cuts away the red tape involved with insurance companies when you need it most. There are certain limitations including states where these benefits are not available or may vary. Regardless of any other type of insurance you may already have, Family Heritage is available as a supplemental source of income. One of the most attractive incentives to acquiring this supplemental coverage is the Return of Premium program. This program entitles the policyholder to a return of your premiums minus any payouts received from claim filings. Filing claims is easy when doing business with the Family Heritage customer service staff. The company places a lot of emphasis on the importance of good customer service. You can call or email the customer service department during normal business hours. For early detection screenings, policyholders just have to send the bill or receipt to the designated PO address for the claims department. For other claim forms, you can write or call customer service and they will send a form out to you. Subscribers must include a brief explanation of the claim. The company won the “Stevie Award” at the ninth Annual American Business Awards. The Better Business Bureau issued Family Heritage its highest rating deeming it a good company in which to do business. Despite these accolades however, according to an online market source, a Family Heritage supplement policy may not be a good investment for everyone. It is designed for people with major medical coverage already, and to some that means it is unnecessary unless one of the subscribers become seriously ill or is in a major accident where the expense is going to be more than what the standing amount of coverage allows. Who can really predict that? Then the return of premiums is only extended without penalty every 25 years. They also contribute to several other charities to include the American Red Cross. To get health insurance quotes from Family Heritage as well as other major carriers, enter your zip code here to get started. Potential buyer beware. Potential employee (“independent contractor”) beware. This company solicits overpriced dread disease policies (cancer, accident, heart disease, and life insurance) door to door in lower-class areas, often to people who cannot afford traditional major medical health insurance. The only people who are really making money are the CEO, Howard Lewis, and his slimy entourage of upper management. You are merely a slave, given no base salary, no benefits whatsoever, who is encouraged to work from 10am to 9pm, Monday through Saturday to fatten the wallets of your managers while they are out brainwashing more potential sales reps. Why? Because the turnover for this legal pyramid scheme is through the roof – they can’t hire people fast enough to replace all of the turnover (which is probably in the 60-75% range. Seriously). 1)	It is overpriced compared to Aflac and other policies available through your employer. 2)	They target people in lower-class neighborhoods, many of which don’t own a major medical policy. They are conned into thinking that “at least they have some coverage.” In reality, they do not – they are only covered if their family deals with cancer, heart disease, or accidents. And poorly covered, at that – the reimbursements hardly cover the money you pay in premium. 3)	The customer service is awful and they, like any other insurance company, will do their best to avoid paying claims whenever possible. 4)	If it was so great, wouldn’t you have called them? They just showed up at your doorstep to sell this thing to you. Doesn’t that sound a bit strange? 1)	Door to door. Residential. 2)	They place you in lower-class neighborhoods, encouraging you to work from 10am to 9pm at night. Most of these areas are unsafe after dark. 3)	No base salary. No benefits. Nothing. You pay your own gas, your own hotel costs, your own airfare to company functions, even the parties that are held at company functions – those go right on your tab! What a joke! 4)	100% Commission-based. And the commission is entirely arbitrary – they assign your contract percentage based on how badly they want you to work for them. The directors/managers are on 80% or higher contracts. They give their slave labor contracts ranging from 30-70% of the premium amount. That means, in most cases, your manager makes MORE money than you do on YOUR sales! 5)	They don’t care if you quit – if you quit, your manager still gets paid on your policy for the time that policy stays on the books. 6)	Policy retention – these policies, much like the salesforce, have an incredibly high turnover. Policies are canceled at a ridiculous clip – somewhere in the 25-30% range. If not higher. In summation, you are out of your mind if you are ever convinced that this is a good company to work for or buy a policy from. The policies are terrible, the salesforce is a bunch of kool-aid drinking half-wits who are merely slaves to their manager, who kicks back and makes the majority of the money while you sweat your tail off, selling this crap door to door. Buyer beware. Employee beware. You have been warned. The above stated is false and some personal feelings seem to be involved. The policies are wonderful and if you don’t use it, you’re refunded your premium payments. People of all walks of life are sold to and get it. And yes, as a sales consultant you make 100% commission, but that’s what you agreed to when you’re hired on. In the process of filing a claim, for an accident that happened to my daughter in June. I had all documentation involved sent to them in September. they sent a letter in October asking for more documents, which I sent. Now they are telling me that they have to inform Medicaid and wait 30 days for them to respond. it’s been 30 days. they just now sent me another letter saying that they are giving Medicaid an additional 14 business days to respond. After that, whether or not they respond, they said they would make their decision then.. When I was first sold this accident policy, I was told that this accident insurance was to PAY ME REGARDLESS to whatever insurance I may or may not have (including Medicaid). I will update this review when this finishes playing out. Let me just say, I am EXTREMELY UNHAPPY so far with the way this is going, its as if they are trying to weasel out of paying my claim, which is more legitimate than a heart attack. Probably going to go back to AFLAC. Right here on their HOME PAGE, it says , Family Heritage pays benefits regardless of whatever insurance you may already have. Family Heritage is available as a supplemental source of income. These are their own words. Will let everyone know what the final outcome is. I have a very good friend who is a reporter, he is gonna love a story like this. When you mess around with people’s lives and their money, it is very personal, to comment on the 2nd review. That’s why there are reviews, because certain events affect people, and that’s why they leave a REVIEW to let people know why they had a good or bad experience. This is the best supplemental insurance company out there. I am an employee here going on six months. Yes, it’s a very difficult job especially if you don’t have money saved up because it is 100% commission and there is a huge learning curve first starting out. However, from a consumer’s perspective, our products are incredible and they are all refundable. how do I get in touch with someone to cancel this policy. I can no longer afford this.